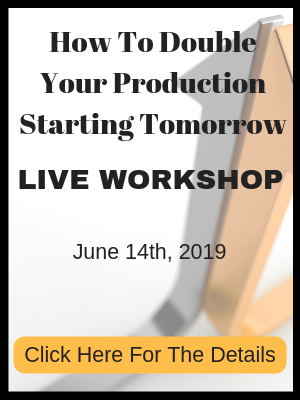 Welcome to the Double Your Production Podcast with the Team Training Institute. The one place designed for dentists and their staff who want to grow their practice by following in the footsteps of those that have done it, who are in the trenches, who know exactly what you’re going through. And now your leaders, the stars of the podcast, Dr. John Meis and Wendy Briggs. Hey, everybody. 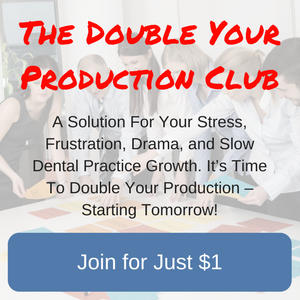 It’s Kati here with another Double Your Production Podcast. Today, we are opening the vaults and are sharing an interview from a series that Dr. John did a while back called, The One Thing. And he’ll be interviewing Dr. Kelly Bridenstine who really is a brilliant mind and great, successful dentist in the suburbs of Kansas City. So I think you guys will really enjoy this episode. Once again, just like always, if you like what you hear, come give us a visit at www.theteamtraininginstitute.com/podcast. Happy listening. Hi. 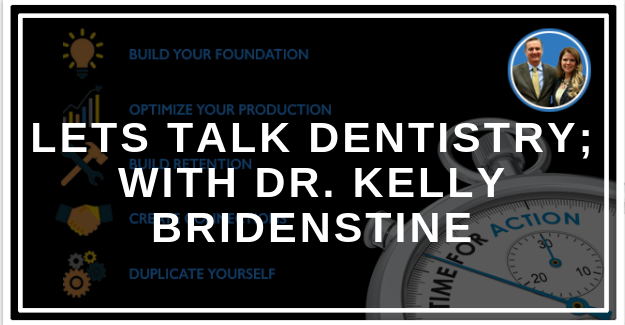 We’re here today with Dr. Kelly Bridenstine who practices in Lenexa, Kansas. How are you doing, Kelly? Great, John. Thanks for having me on. Yeah. It’s my pleasure, let me tell you. I wonder if you can tell us a little bit about your practice. Well, it’s a large family practice and we do quite a bit of cosmetic dentistry and some sedations. So it’s marketed as a family cosmetic sedation practice. I’ve kind cherry picked my big cases out of the regular folk of the neighborhood that comes through. I’ve been in private practice for 20 years, class of ’87. I did do a GPR years ago at the Long Beach VA Hospital, Southern California. Worked as an associate from California, Denver to hear and then. And the doctor that I was working with back 1991 suddenly passed away, when I was out here in Kansas City, from a heart attack and I ended up buying his practice. So you’ve had the experience of both associate doctor and owner doctor. Do you think that gave you some interesting perspectives as far as having associates? Huge. I’ve been on both sides of the coin. What do you think about being an associate has made you a better owner doctor? 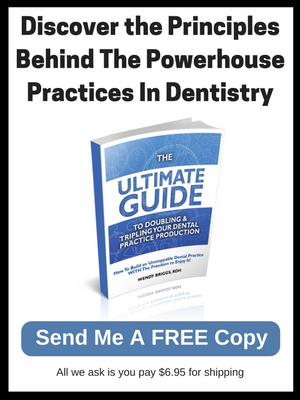 I’ve learned that an associate is a great asset to the practice and you need to treat the associate as a great asset to the practice, not as a guy that’s going to come in and do the crumbs off the table dentistry. He should be treated like a doctor. But with that said, the associate needs to act like a doctor and realize that it’s not his or her practice. They need to do everything they can to build up that senior doctor’s practice. It’s really a two-way street, isn’t it? One of the things that I think is unique about the members of the elite mastermind is that they’re all big practices. In their practices, they’re all treating patients and serving their communities. And I think the numbers that people come up with are interesting for people to know. So what kind of numbers that your office is doing? As far as collections, real dollars in the bank, we average around $150,000 a month. We’ve spiked a couple of times at 230 over the years, but it’s me and one hygienist. So how many staff do you have? It’s kind of grown. But I have nine full-time staff members. I have three part-time ladies, and one part-time prosthodontist, Dr. Tracy Boulder who’s been with me for 14 years. She practices on Fridays, when I’m not there. As far as breaking it down, I’ve got three ladies at the front desk and they all answer the phones and schedule appointments and check people in and check people out. But when push comes to shove, one’s in charge of my schedule and Dr. Boulder’s schedule, and the other one is in charge of the hygienist’s schedule, so I guess you could call her the hygiene coordinator and the other does marketing. And then I’ve got my team leader, Donna, who you’ve met. She runs the whole show. And then I’ve got three chair-side assistants. I’ve got one full-time assistant for the hygienist. I have one full-time hygienist who works four days a week. I should back up. I do have one part-time hygienist that comes in on Fridays. But she does not do accelerated hygiene. The full-time hygienist runs two chairs with her own assistant and just does hygiene. The assistant does everything else. Then my part-times, Jon– I’ve got a lady that’s been with me for years. She comes in in the afternoons during the high-peak delivery times and does all the sterilization; it helps flip the rooms so that my assistants can do what they’re supposed to be doing, assisting the doctor. And then I’ve got a part-time offsite young lady who was full-time with me, but she had twins. So she is at home and has a computer and a fax machine. And she does all the insurance verifications and collections. So it doesn’t tie up my front desk being on hold for 20 minutes with an insurance company. She just faxes all the insurance verifications to us so we don’t have to worry about that. And then I’ve got a bookkeeper that comes in 8:00-12:00. Does all of our insurance, calls in payroll, and stuff like that. Does accounts receivable, accounts payable. That’s our practice. And then Dr. [Boulder?] and me. How many hours are you working each week? I do 35 hours Monday through Thursday. I do go in on Fridays, sometimes, to do non-clinical stuff. But as far as knee-to-knee with the assistant and working on patients, it’s eight-plus hours a day, Monday through Thursday. Yeah. Now you’ve talked about having extra staff on hand during the really popular times. Tell me about that. We’re right next door to an elementary school. 3 o’clock, kids are out of school or right before school. And we do move along in the morning, but you need your full-time assistants there. So Lynn, who’s been with me for years, she comes in during lunch and she cleans up the morning mess in the sterilization room and gets everything ready to go so when the green flag comes down at 12:30 when we start the second part of the day, my assistants can really rock and roll. We have a lot of our emergencies and deliver crowns, and deliver this and deliver that. It doesn’t take a lot of time, but you need to be flipping chairs and moving people in and out. And Lynn keeps sterilization humming and helps us flip the room so these assistants can spend time with the patients, and check them in and check them out. So do you use the old traditional scheduling where you try and get your bigger production in the morning, and then in the afternoon be on roller skates? We crank in the morning and cruise in the afternoon. Yeah. Okay. How many ops do you have there? I have seven operatories. I run five myself. Actually, run four with an overflow. And then we have two for the hygienists. So we run seven operatories at full steam ahead. Yeah. That’s a lot of production out of seven ops. You started practice in what year? I bought this practice October of 1991. And it was me and one staff person. For years I was your classic dentist, with one person at the front desk. I was in a strip mall for 14 and a half years, with six chairs. And then I moved to my new clinic two years. But basically I had one person at the front desk, two assistants, one part-time hygienist. It was that for years and years and years. And I just figured that’s just the way it is until I started going to some of these seminars and finding out that there is a big wide world out there and if you make a few changes, you can get on their bus. And so I did. So you were in an office with six chairs, and then you moved to a new office with seven? Yeah. Actually, my father-in-law owned a building, and he wanted to rent some of the other suites out. And if I could do it all over again, I would have twisted his arm and got a little bit bigger space. But it’s okay. The business across the hall from me that we’re renting out will be gone in less than a year. I’m punching through and putting five more chairs in. There’s room to expand. Yeah. Very good. You read my mind; that was exactly my question. So you probably didn’t start out doing 150 grand a month. You probably started out somewhere less than that. I think for years I’d average between 40 and 60 thousand a month. And when you’re doing $60,000 in the ’90s, you’re doing pretty good. A couple times we’d hit 70, and you’d hear about the million-dollar practices which is $83,333 a month practice, you go, “Wow. How in the world can you ever do that?” Because no one taught me. No one showed me how to do it. And then once a couple of nuggets are thrown your way and said, “Look, Kelly, you could do this.” It’s amazing what happens. So your growth wasn’t really a steady climb, it was level then a spurt then maybe level again and then maybe another spurt, is that right? Yeah. In about 2002, 2003, we made some changes, and that’s when the roof got blown off the planet. Oh yeah, it was real easy. First of all, I won’t mention any names but I had some other consultants in the late ’90s and early 2000s that basically just about killed my practice. I was the cosmetic guy, basically, John. I was doing heavy marketing to just the cosmetic crowd. It didn’t turn into the boutique niche but I was heading that way. And what happens, you’ll have some great months but then you’ll have some not so great months. So it’s this huge up and down swings. And their analogy was everybody wants to be a cosmetic dentist and they’re all going after the marlin. Sometimes you catch the marlin, sometimes you don’t, but it’s the expense of the rent of the boat and have a crew. But if you just sit there during the salmon run with your net out, your pile of salmon every day will outweigh any marlin. And so I came back with those nuggets and I went after the masses and then cherry-picked my sedation and cosmetic cases out of that. You know what, I do just as much cosmetic now or more than when I was just going after them. And then if you don’t see a lot of cosmetic patients, you’re doing a lot of bread and butter general dentistry and that adds up very quickly. So that was the big turning point for me. I can’t tell you how many times I’ve heard people say that. They started doing a lot of cosmetic dentistry when they decide to not be just a cosmetic dentist. They decided to treat the market that they’re in. In 2002, you must’ve changed the message or your practice position. How did you do that? I was on the radio heavy for cosmetic and doing especially niche mailings. And what I did is I just switched to more of a general message. And one of them was the same as free, free, free offer. Free exams, free x-rays, free consultation, free second opinion. And I learned from some of the white whole doctors that I was having people pull vault into my dental practice. You had to pay $204 to come see me on the first visit. And now there’s no pull vaulting. You walk in, there’s not even a speed bump. Come on in, meet us. If you like us, that’s fine. It’s no skin off your nose, it’s free. Let’s meet each other. If you like it, stay. And that’s when the phone ring off the hook. I become the neighborhood go-to guy. So that was your first big job, that was five years ago, or so. Have you had any other spike since then? Yeah. Another spike I did was probably in ’05, maybe a little earlier. I went to accelerate a hygiene. For years, I’ve had a part-time hygienist and could never forget why I couldn’t get her. She comes in three days a week. What happens, I was doing all these cosmetic work and people were leaving their general dentist and I was doing the cosmetic stuff. And then I go, “Hey, would you like to make an appointment, get on our recall assistant?” “Oh no. I’m going to go back to my general dentist because I don’t have to pay anything out of pocket.” So they’d pay thousands of dollars in my office but then they go back to their general dentist so that they wouldn’t have to pay the 70 bucks out of pocket to get teeth cleaned. So what’s wrong with that picture? So when I went back to general dentistry and cherry-picking the cosmetic sedation cases, I went to accelerate a hygiene where I got my hygienist her own assistant. They started running two chairs. So your classic hygienist, they schedule late patients and hope that two cancels. So your average hygienist in the country will say, “We’ll see about six patients a day.” My hygienist sees six patients in three hours. If I have 15 to 17 patients scheduled in one day and two canceled, guess what, who cares? But if you have eight patients scheduled and two people cancel, that’s when the doctor’s butterfly start flying around their stomach and all they think is, “My gosh, I’m paying a lady $30 plus an hour and she’s reading People Magazine or writing a letter to her mom. And now my hygienist, she just hygiene all-day long and barely comes up for 4:30 and goes home. She gets paid extremely well because we have the bonus system in there. So I mean, it’s win-win. I win. They win. And of course, we’re not perfect. We have cancellations. But you know what? I can’t remember the last time we only did six patients a day. On a bad day, we’ll do 8 to 10. So that was another turning point, John, was accelerated hygiene. And what happens is it throws all the general dentistry back onto the doctor. I mean, the more people that go through hygiene that’s just more general dentistry in cosmetic and whatever being thrown back into the mix for the doctor. It all feeds upon each other. Right. They establish that relationship. They’re still in the office. And then when they decide to have what they want, they’ll tell you. But you’re still their doctor, and your hygienist is still their hygienist. That’s what really catapulted me into the big leagues was going after the masses with no barrier and accelerated hygiene. I’m curious. When did you start the bonus? I did the bonus back in ’03, ’04 with the staff team bonus. My hygienist has her own bonus. She’s not part of the team bonus. She has her own thing and she makes really good money. What kind of procedures do you do? Are you a guy that does endo and surgery and all that kind of thing? Tell me about that. I do 100% of micronobridge restorative. We do a lot of Invisalign, but I delegate a lot of that out. I don’t place implants. I restore lots of implants. Endo and oral surgery kind of come on a case-to-case basis. If it’s a slam-dunk runaway lay-up on the full court, I’ll do it. If it looks like it’s going to be any kind of difficulty and it might be the tooth [disease?] but if the patient’s going to be difficult, they’re gone. The go to the endodontist. They go to the oral surgeon. We don’t IV sedation. So most third molars, probably 99.9% of them go to their oral surgeon. And I kind of pick and choose my endo. So I’m not the guy that jumps in on every surgery case. I look at it and decide because I’m moving people through and I can’t sit there and take 45 minutes to find MB-2. I can make three times more doing quadrant restorative work than trying to find MB-2 on a Max-3 molar. And so a lot of times it’s economics and my schedule. A tough endo case, I go for it. I’ve got all the buzzers and whistles. EMKC Dental School’s 10 miles from my practice. I have one of the grad students. He’s a second-year endo grad. He’s leaving in July. He comes twice a week on Tuesdays and Thursdays at the end of the day and does endo for me, and he gets a percentage and I get a percentage. So we keep the patients in-house on the real difficult ones. But a lot of them just go out to the local endodontist. So tell me about how you mix that with sedation. One of the things that sedations patients often want to do is get everything done all at once. We have some endodontists down the road that do IV sedation. We send them down there. They bang out all the endo in one or two visits. They come back to me and guess what? Build-ups and crowns, build-ups and crowns, I can do a lot of work in one visit very quickly without finding [inaudible] Buckle-2 [laughter]. So that’s how I’ve worked that out. Tell me how your scheduling sedation case is because you’ve got quite a bit of traffic going through your office. Tell me how your scheduling those. Well, they’re at 7:00 in the morning. We take our first patients at 7:30. People are coming on Ativan for a crown prep and stuff. I don’t really count that as sedation cases. But the [inaudible] crowd, we have them in the morning. I still have to go check hygiene and stuff, but it’s not the tidal wave when after school hits. We take care of those in the morning. So one of the things that I’ve noticed about you is that you’re really– a really dynamic leader and you’ve had some tough times. I know that you recently had a sudden loss of an associate. How did you lead your team through that? And tell me how you communicated to your team about that and how you went about rallying the troops as it were to what’s going to be a new challenge. The whole thing happened because of my team. As you know, I have the inter-core group, like you do, that will run through fire for you. I [even?] have the outer group that’s been with me a year, 18 months or so, and they’re still learning the ropes. But my team approached me and brought to light some things that were going on because, at the dentist, we have our backs to the world. We’re looking at a two-inch black hole all day long, and we don’t see what’s going on. But a lot of the ladies do, and they pulled me aside and let me know what was going on. And there was some serious things, and I had to pull this doctor– actually, it was just a week ago, John, and pulled him in, confronted him. He admitted to what was going on. It wasn’t clinical issues. It was massive violation of office policy and the [associate?] agreement. I said, “It’s not going to work, Jerry.” I had to let him go. And because one team member knew that was going on but didn’t come forward, I had to let her go also because if I would have let her stay, that would have sent a message to the rest of the staff that it was okay for her to do that. In fact, my office policy manual, one of the sections says if you know that something’s wrong, and you don’t come forward, and you will only suppress it, that’s grounds for immediate dismissal. So I had to stick to my guns, but it was my staff that put me through it. And you know what? They’re relieved. We’re happy. We’re moving on. It happened during Christmas break while I was gone and left an associate in charge of my practice. And when the cat’s away, the mice play, and that’s what happened. And so when I came back, I got rid of a few people. But you know, John, like we were talking before we started, you’ve had to go in and clean house too sometimes. That happens. That’s part of running your own practice. And it sends a message to the rest of the team that you respect them and this is a business, and we need to work as a team. That’s how we got through it. Well, it’s like any big practice. You have a big practice. I got a big practice, and we rub shoulders with some people that have multiple practices. And you have to have systems and protocols and, like you said, you can not let things slide or else the inmates run the asylum. And it can really ruin the reputation of your practice and ruin the confidence of your team members. And it can go downhill awfully fast. Yeah. When did you build your new office, [inaudible]? I moved in March of ’06. I should have moved in a year earlier, but I won’t get into the builder and all the delays. I think everybody goes through that. I moved in the third week in March of ’06, and before I was in a strip mall on a busy street, but I was hidden by a Bank of America building. I’d have people come in and say, “Oh, I’ve lived here for 10 years. I didn’t know you were here.” I’m out on the main street of [inaudible] at 87th Street Parkway. 50,000 cars go by. It’s a big building. You can’t miss it. In fact, it’s already a landmark in town, and I never had walk-ins before for 14 plus years. I get people, “How’d you find out about our office?” “I watched this building being built. I drive by it every day to work. I see your sign. The phone number’s there. I said, ‘You know what? I’m calling him. '” That happens daily. It’s like [it’s?] shock. So location is huge. I’ve learned that little tidbit also. What advice, other than, “Location, location, location,” would you have for somebody who’s considering increasing their space or moving to a new location? Well, location is key. I was in a part of town, also, where that demographic was not wanting to do cosmetic and sedation. Not to say that I’m picking and choosing, but just moving to a different location, higher visibility, you get people that drive by that even live on other parts of the town and say, “I want to go there.” And so it’s huge. Of course, the key is your staff. I got a great staff. When they come in, it’s like, “Okay. I’m going to stay here.” The building is the magnet, but when they get in there, the glue is my staff. You can sure blow it once they get there or once they call. You can blow it even before they get there on the phone. Oh, absolutely. And so the key is, I don’t care where you put your practice, you’ve got to make sure you’ve got key people there that can welcome people into your practice. It’s like your home so do you have a big sign that draws attention? I have a sign, but I wish I could have those big LED signs, a big old giant colorful sign. It’s a sign that’s about four by six, but because I don’t have a dental clinic in the whole building, I could only take half the sign. But you can still see the practice name, the phone number, and the website. So at 40 miles an hour, you can read Perfect Smiles Dental Care, a phone number, and a website. It says “New patients welcome.” If I ever did take over that whole building and had one big dental clinic, then it’d be one big giant sign. They’re really strict on signage where I’m at. That’s kind of a downfall. But that sign does pull plus the building location. So at some point, you’re in the strip mall. You realize you’re not really having the demographic of the surrounding area that you wanted. You’re also probably running out of capacity room wise. How did you become sensitive to the fact that you’re out of capacity? Because most often, people are really way, way out of capacity before they feel like they are. I went accelerated hygiene before we moved. And when we went accelerated hygiene, see, people couldn’t get in. People aren’t going to call for an appointment and wait two weeks. But if they can get in that day or that week, they expect to go to a physician or a dentist or a chiropractor that week. And we were having a hard time getting people in. And so when I went to the accelerated hygiene model, we were able to process more new patients and they appreciated that. Of course, we still saw the emergencies and everything, but I knew that I was in trouble when I started all this marketing for the masses and we couldn’t get them in. So I had to do something. So that’s one sign is when you do marketing and the phone’s ringing but you can’t get them in, you’re shooting yourself in your foot. So you were way out of capacity before you realized it. [crosstalk]Oh, yeah. In fact, I’ve had people in other steady groups in town and across the country try to do what I do. John, you’ve got to have the staff to handle it. It’s like McDonald’s, you’ve got to have just as many people taking the orders as people cooking in the back. Well, if you just have a couple people taking orders and no one in the back to do it, these guys are doing the same marketing that I was doing and that you were doing, and their phone would ring off the hook and they couldn’t get them in. They just killed themselves. They sunk their own boat. Yeah, [crosstalk] you watch that overhead tick up and up when you’re marketing and you can’t cash in what you’re bringing in. You know? It doesn’t make any sense at all. And people that would’ve come in and spent money just get frustrated and leave. I’ve been there. I’ve lived that. I like to think of the elite mastermind and the members in that, I think each one of them has something unique and special that allows them to bring something unusual to the group. What do you think it is that you bring to the group? Well, I think I bring the midwest, conservative guy. On my street, I’ve got 12 dentists within a three-mile stretch of me here so I’m not like a guy out in the middle of nowhere where I’m the only guy. They got lots of choices. I’ve been able to do a multi-media marketing really taking advantage of the internet way ahead of a lot of doctors here in Kansas City. Not just have a website, but I’ve figured out how to drive people to my website. The website’s the hub. You drive everything to the website, then it’s all about you and they can sit there and spend time looking at testimonials, looking at before and after pictures, kind of building a relationship. And when they come in, they kind of feel like they kind of know you. So I think my multi-media marketing approach, which has been direct mail, newspaper, radio, and internet has really helped me explode and also differentiate myself with the local doctors here. Not only drawing from the local neighborhoods here but because of that, I’ve been able to draw from people across town and out of the Kansas City area. I think that’s what I can bring to the table. Fantastic. I just jot down some notes and that was kind of the thing that I noted myself. You’re a savvy marketer and understand the marketing capacity, demand dymanic that is so easy to screw up. Marketing just isn’t a one trick pony. You dont do one thing, you do a lot of things. And so a lot of little rivers flowing make one big river. And so instead of having a little trickle like a lot of doctors have, we have this gushing stream of new patients, and some of these people in our study group get 600 new patients a month. It’s unbelievable. I do about 120, but I think that’s better than the average. The elite mastermind’s great because everybody’s got their niche. They’re highly experienced. They’re just super nice, down-to-earth people. That’s what I like about it. No one walks around with their nose in the air and says, “Hey, look at me.” I think most people are pretty humble and just go to work and do the best they can, but they all have unique talents. It’s amazing. It is amazing that everybody is tackling their practice in a different way, yet they’ve all reached these heights. And just like you said in your closing remarks, it’s all about serving the people. And all these people, that’s really what they’re geared to. A wise guy told me one time, “I don’t know one way to get a hundred new patients a month, but I know a hundred ways to get one.” And sometimes, it feels like that’s what you’re doing is you put in new marketing streams and new patient streams, but it’s the key to success isn’t it? All right, Kelly, so now, we’re down to the big question. And if you were to take all of the years in practice and distill all of the knowledge that you’ve gained during your time in practice, what do you think would be the one most important thing that has lead to your success? Well, funny that you should ask because I would have to say for me, what’s lead to my success, is I had to make a switch in my head because I was your classic dentist before, that I have learned that I’m not in the dental business. Okay? I’m in the marketing business, and everything we do in our practice, let’s not even talk about external marketing stuff, direct mail, newspaper, radio, TV, everything that we do as a doctor, everything our staff does is marketing. A patient’s first visit experience is marketing. They got dentistry done, but how do they feel when they left? That’s how you generate referrals. That’s marketing. And you touched on before the phone. I mean, whoever answers the phone controls the net income of the practice. You get sedation people, they’ve been putting dentistry off for years and just to make that phone call is huge. You’ve got to have someone that knows how to empathize with them on the phone and get them in. That’s marketing. I’d have to also say, and I’ve learned this the way also, sign financial arrangements so the right hand knows what the left hand’s doing is marketing. I’ve learned that a dentist and a hygenist has got to have soft hands. We get people all the time that come in our office and say, “I love my dentist but I don’t like their hygienist because she’s rough.” I mean she never hurt anyone on a [inaudible]. Got to have general cleanings. That’s marketing. I think besides not only generating trust from a patient, they’ve got to feel that their comfort’s the number one priority in your office. That’s marketing. And of course, you want to tell them what they need, but just give them what they want. You want to be their friend? Let’s say, “Hey, here’s what I found. How much of this you want to talk about?” They know that you’re not about money. You’re building that trust, and that’s marketing. I think, even though we run a very busy practice and we run a lot of people through there, when you walk to that [inaudible] tour, you’ve got to take a deep breath and look relaxed. You shouldn’t have beads of sweat on you. “Hey Mrs. Jones, how’s it going?” and looked relaxed. And that’s marketing. They know that you’re busy. They know that you also sat down and spent time with them. One thing I’ve learned also is that we don’t seel dental services. We’re really changed in the income department, and I try to convey this with our staff, we sell four things in my office. We sell beauty, self-esteem, comfort, and function. That’s what we sell. And the dentistry that we do helps them get that. We’re in the marketing business and the doctors that can figure that out and actually put it to work are the ones that will never worry about having patients. Fantastic. Well, I want to thank you for sharing your wisdom and your experience with us. You are an absolute gem in the dental profession and your patients and your community are awfully lucky to have you. Thanks very much, Kelly. Thanks for having me on, John.